The final chapter in Telltales Games’s first Game of Thrones episodic game, “The Ice Dragon”, has been released, and we’ve played it through to the (rather bitter!) end. BEWARE: Spoilers follow! 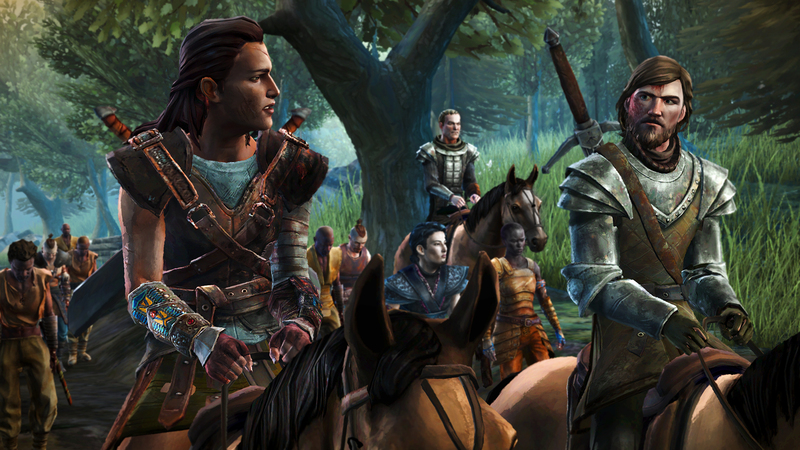 Suffice it to say, Telltale takes a cue from its source materials to pull no punches… and to leave quite a lot of loose ends for potential future seasons. But we have to say, certain aspects of this finale left us a bit puzzled on a number of fronts, not least the sense that this episode felt somewhat rushed and not as fully produced as previous installments. Perhaps this has something to do with the fact that the game’s taken rather longer to come to its conclusion than originally intended by Telltale Games. Whatever the reason, facial animations felt rather broader and less convincing than in previous episodes, and certain segments seemed to show somewhat lax animation. The sense that the Forresters tragedy is simply a recapitulation of the Stark story comes across very strongly here as the conclusion features a number of moments—poisonings, bloody betrayals, and all—that seem like copies of key moments from the novels and show. The heaping of disaster at Ironrath Unfortunately, the chief exception—Gared’s storyline beyond the Wall—falls into a very different morass of problems. The “North Grove” business seemed somewhat uncertain to begin with, but the revelations that follow on Garred’s arrival there prove decidedly underwhelming. It’s as if there were a check-box of elements they wanted to use (bastards - check; skinchangers - check; blood magic - check) and then threw it all together in a strange and under-developed stew. It would have been doubtless better had the introductions and reveals come in the previous chapter, and this final chapter would have more firmly established the whys-and-wherefors of this strange situation while digging deeper into Gared’s choices. Curiously, the best of the story-threads is also the one that seems, at the end of the day, the most inconsequential (as part of the whole); Mira Forrester’s ultimate role in the story seems entirely self-enclosed, with only a passing nod to the idea that anything she did had any real consequence for her family. 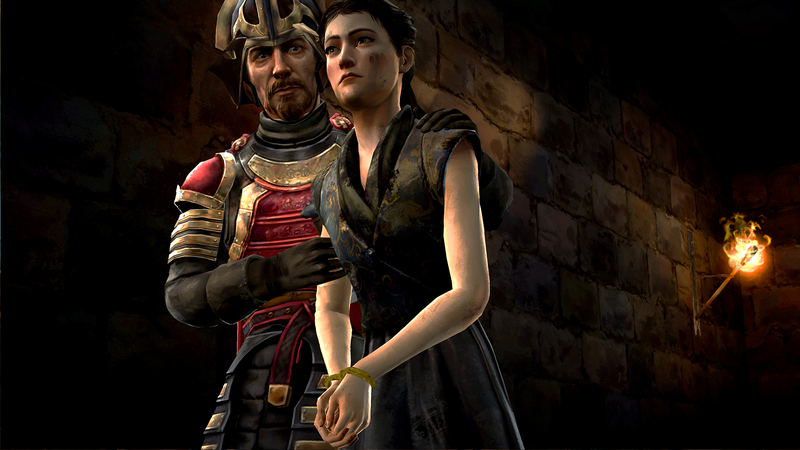 In fact, it’s only in the stark final choice that players have to make that Mira’s impact hits home: either a traitor to the family, giving a claim to Ironrath to an ambitious lordling, or a martyr. It’s a strong ending, but the lack of a more direct connection to the rest of the narrative undercuts its weight. 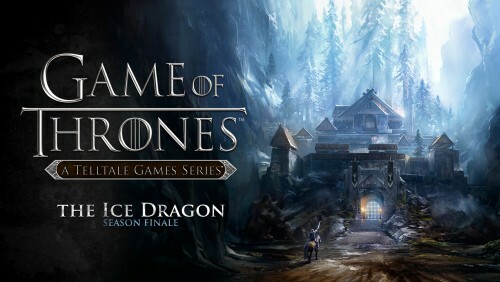 In the end, “The Ice Dragon” proves to have been an acceptable but somewhat unsatisfying wrap-up to the narrative, willing to drive players/viewers to hard and ugly choices but spoiling the effect somewhat in the execution. The loose ends that are left hold some promise for any follow-up, however, word of which we’ll likely have “very soon”. “The Ice Dragon”, the final installment in the Game of Thrones game from Telltale, is available on Steam, as well as all major console and mobile platforms.